Soft wonderful colours and the use of light and shadows is probably how most people would describe the work of Claude Monet, one of the greatest painters of all time. 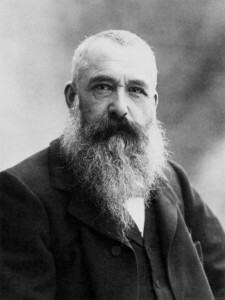 His date of birth was in 1840 in Paris, France. His family owned a grocery business and naturally they expected their clever son to work for them as he became older. 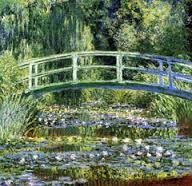 Monet had other ideas and he chose to follow his dreams of becoming an artist, much as many individuals do today. Painting and colours intrigued him greatly. 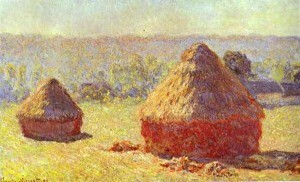 When Monet was only 11, he studied at the Le Havre school of the arts and would sell charcoal caricatures for 10 to 20 French Francs. An artist named Eugene Boudin became a mentor to him and taught him about painting with oils and how to capture outdoor scenes on canvas. 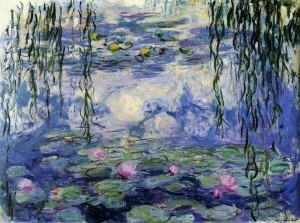 Throughout his life, Monet was fascinated with nature and took every advantage to highlight trees, plants, grass, flowers and water in many of his paintings. To learn more about Monet click here.